Southern style baked beans, like all the best Southern dishes, include rich, smoky, cured pork as an anchor flavor. 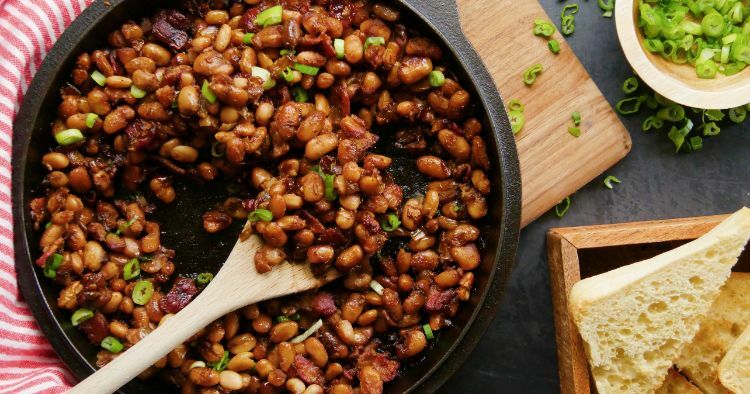 The South’s baked beans always include delicious bacon. The recipe below does a great job of making sure everyone at the party gets to enjoy those crispy morsels of flavor. This recipe is shockingly easy to put together. In the oven, as the beans heat up and all the saucy goodness comes together, the bacon cooks further. Because it is in small pieces, every spoonful of beans will have a hearty dose! Heat large saucepan over medium-high heat. 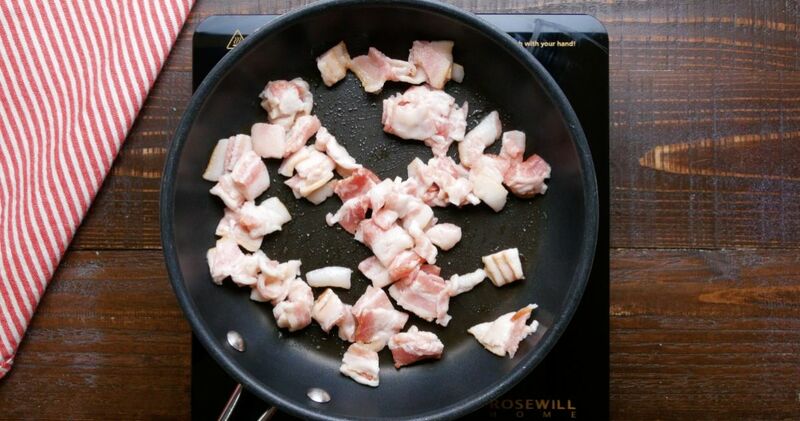 Add the bacon and cook, stirring, until the pieces are browned and crisp. Add the onion and cook, stirring frequently, until the onion is softened, about 4 more minutes. In a large bowl, combine the cooked onions and bacon with the beans, brown sugar, molasses, mustard, and salt and pepper. Stir to mix well and then spread the mixture into an even layer in a backing dish. Bake in the preheated oven for 1 to 1 ½ hours until the whole thing is bubbling hot.